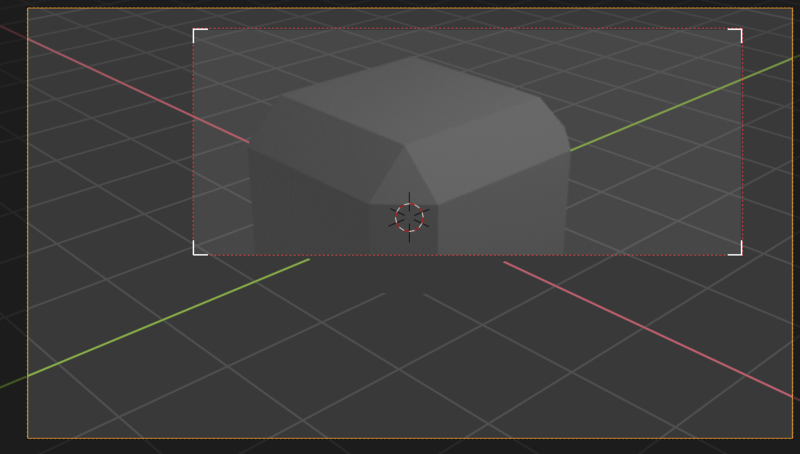 Make Render Region handles always available inside camera view. But they only work when the camera is selected. 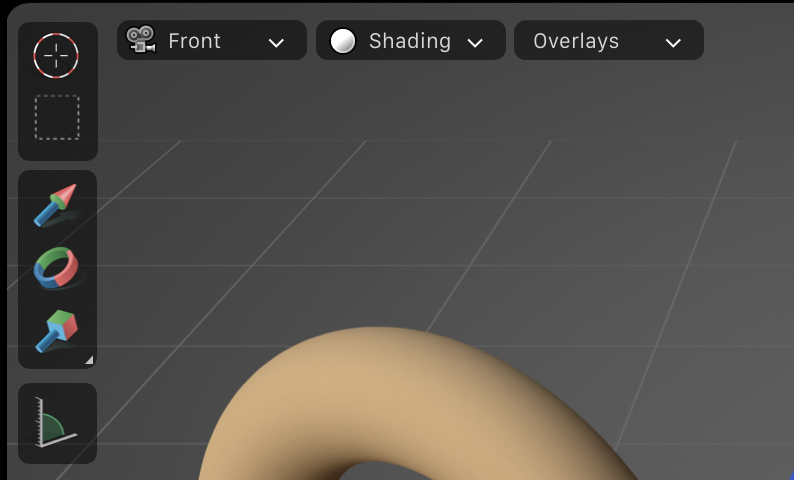 I think this makes them too hidden, and also makes them a hassle to use, because you much keep selecting the camera to use this. We should simply make them always work inside the camera view. 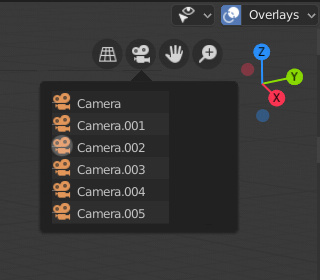 See: https://devtalk.blender.org/t/lock-camera-to-view-it-was-torture-to-find-it/5473/6 - maybe we should have a way to toggle 'Lock to camera view'. A popover menu to pick currently active camera would also be very welcome. 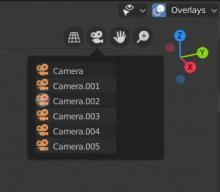 Something akin to what we can currently do from the Scene tab of the Properties Editor. It is currently hard to quickly browse through all cameras views in a scene. I still think that would be nicer, because the camera toggle is fundamentally different from the viewpoint gizmo. The other buttons are manipulation widgets, but the camera one is just a toggle button. Just though it could also integrate to the camera view gizmos, but your solution is indeed a lot more consistent. 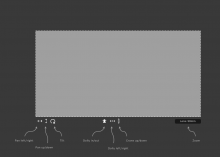 It also turns the viewport text into something functional, instead of static text. @Duarte Farrajota Ramos (duarteframos) Exactly right, that is the rationale. Anyway, this design task is about something different: a new gizmo, specific to being inside the camera view, to manipulate the camera using camera/lens-controls.